Instantly frame your finished 12x12 art canvas up to 3/4" deep in this great looking, inexpensive frame. Includes velcro to fasten canvas (no tools required). 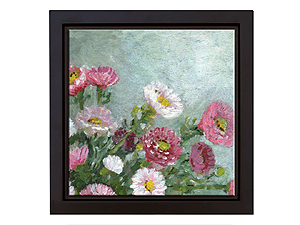 Instantly frame your finished 12x12 art canvas up to 3/4" deep in this great looking, inexpensive frame.